This comforting soup makes your house smell wonderful when simmered for a cold night. Bring 4 cups broth to boil in medium saucepan. Remove from heat. Add porcini mushrooms to saucepan, let soak until mushrooms soften, about 20 minutes. Drain, reserving broth but discarding any sediment in broth. 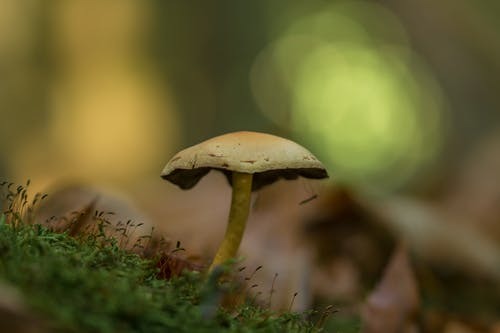 Coarsely chop porcini mushrooms. Heat olive oil in heavy large pot over medium-high heat. Add chopped celery, shallots, and onions; sauté until tender, about 7 minutes. Add mushrooms; sauté until brown and tender, about 8 minutes. Add minced garlic and thyme; sauté 2 minutes. Add white wine and Sherry. Boil until liquid is reduced to glaze, about 6 minutes. In a small bowl mix butter and flour into a smooth paste. Add flour paste to mushroom mixture in pot; stir to melt butter and coat the vegetables. Gradually mix in all the stock. Bring to boil, stirring frequently. Reduce heat to medium-low, add milk and simmer until mushrooms are tender, stirring often, about 10 minutes. Transfer 1 ½ cups soup to blender and puree until smooth. Return to pot. Bring soup to simmer. Stir in cream. Season with salt and pepper and serve. Ladle soup into bowls; top with croutons. Serve with salad and crusty French bread. Makes 6 servings. 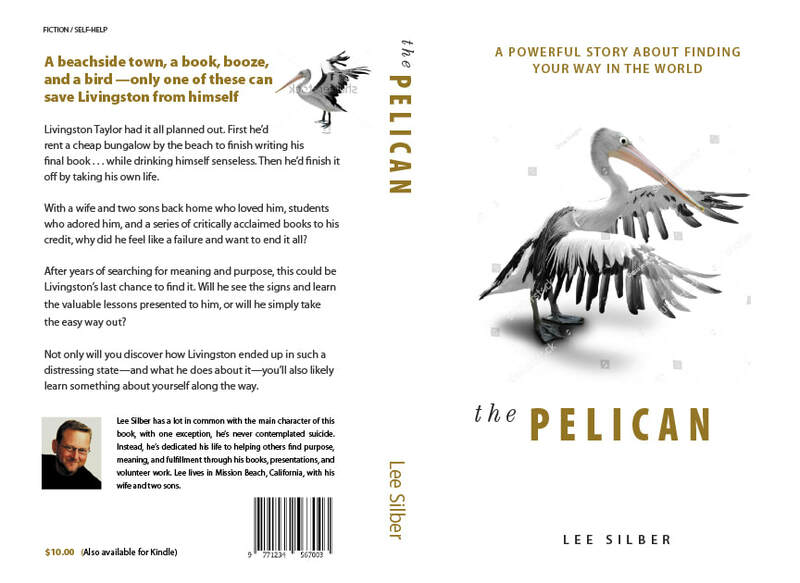 I've just finished reading The Pelican by Lee Silber for the second time. And yes, it's that good a book. Between drinking sprees and thoughts of his pending suicide Livingston Taylor wonders Isn't investing in yourself the best investment you can make? A successful Middle School teacher, Livingston misses his students, still loves the wife he's left and the two fast-maturing sons he adores, but the minimal public acceptance of his published books has dashed his hopes for literal acclaim, and tanked his self-esteem. The only thing keeping him from squeezing the trigger and ending his life is the determined pelican who shows up on the back deck of Livingston's rented beach house every time he pulls out his gun to end his misery. All I need to do is increase my confidence, but I don't think I can. And yes, I see the irony in that, Livingston thinks, but slowly regains a desire to live as he makes new friends and find work. This powerful story about finding your way in the world will warm the reader's heart. 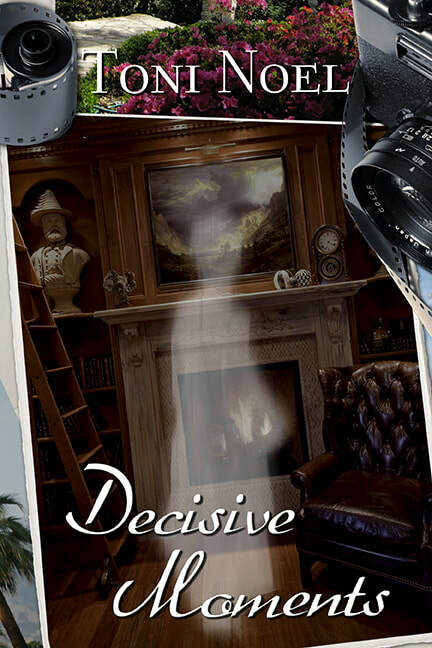 I've told you about the home of an artist that inspired my romantic suspense Law Breakers and Love Makers, and the boarded up house in Mission Hills that inspired my dark romance Decisive Moments. 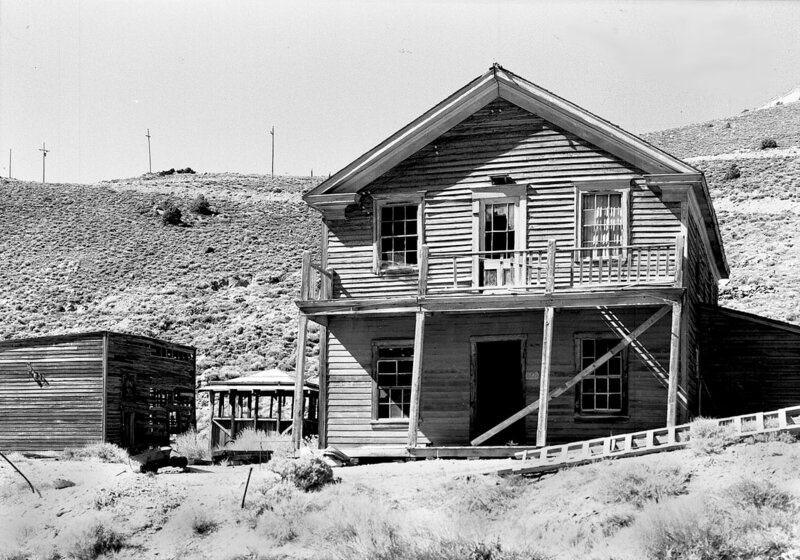 But I haven't told you about the weekend trip we made to photograph the restored ghost town of Cerro Gordo, California, the inspiration for my time travel romance, Rising Above. The American Hotel, the bunkhouse, a store and one of the homes built in 1800's are among the fully restored structures. On our first visit we shared the bunk house with friends and renewed our acquaintance with the owner, the late Jody Stuart. Over dinner she willingly shared her love of the mountaintop silver mine she'd inherited and poured her heart into. She invited us to exploring the abandoned mineshafts and an the abundant assortment of vintage mining equipment and ask questions the next night at dinner. While I went intending to photograph, the fantastic scenery soon hooked me and as I strolled around the old hotel I began wondering what it had been like for the wives of the men, stranded nine miles up a barren mountainside. How many other women had shared their plight I wondered, and that thought planted the seed for my next novel. The idea for a hot-air balloon race came later. I decided to write about a misfit Caltrans flagperson who longed for a different life and my heroine Wilda soon filled the pages. Her modern ways set the hotel owner aghast and her unexpected refusal to force her rescuer, the local lawman, to enter into a marriage of convenience with her drove him to distraction. 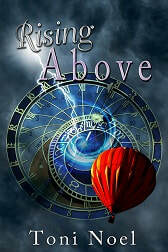 Rising Above is available online in eBook and Print Book format for your reading enjoyment. Author's Note: The town of Cerro Gordo is now under new ownership who plan to again make this mountaintop experience available to the public. This is the script for a radio interview with the author when Lawbreakers and Love Makers was first released in 2010. Toni, when did you first consider yourself a writer? February 8, 1996. That's the day the plot for my first novel began forming in my mind. I always thought that once I was no longer living a regimented life ideas for novels would come. They didn't, so soon after I retired I enrolled in a college-level creative writing class hoping to coax my muse out of hibernation. Work in my chosen field -- accounting -- had squelched my creativity, but in that class I learned to write essays, short stories, and poetry. I don't recommend the writing poetry part. For months, I thought in rhyme. Then, while reading a romance on a rainy afternoon, A dam burst and the entire plot for a novel flooded my mind. I hurried upstairs to my computer planning to make notes, but the ideas just kept coming, and I wrote two chapters before logging off. Except for aggravating periods of writer's block, I haven't stopped writing since. How long have you been writing? What's the most rewarding aspect of it? My teachers always insisted I had a way with words and as early as ten I knew I wanted to be a writer, but was undecided what I wanted to write. 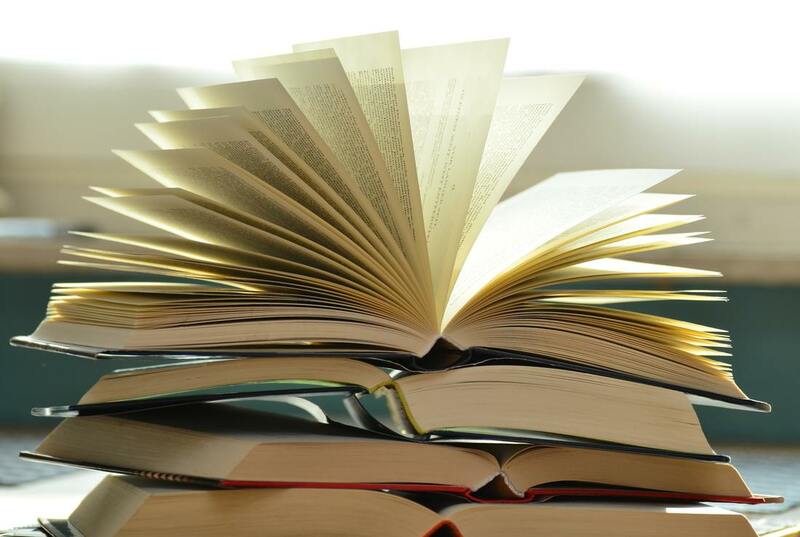 At fourteen, I started writing my autobiography, but my life was so boring I felt sorry for any possible readers and had the main character come down with a fatal disease to give my readers a break. 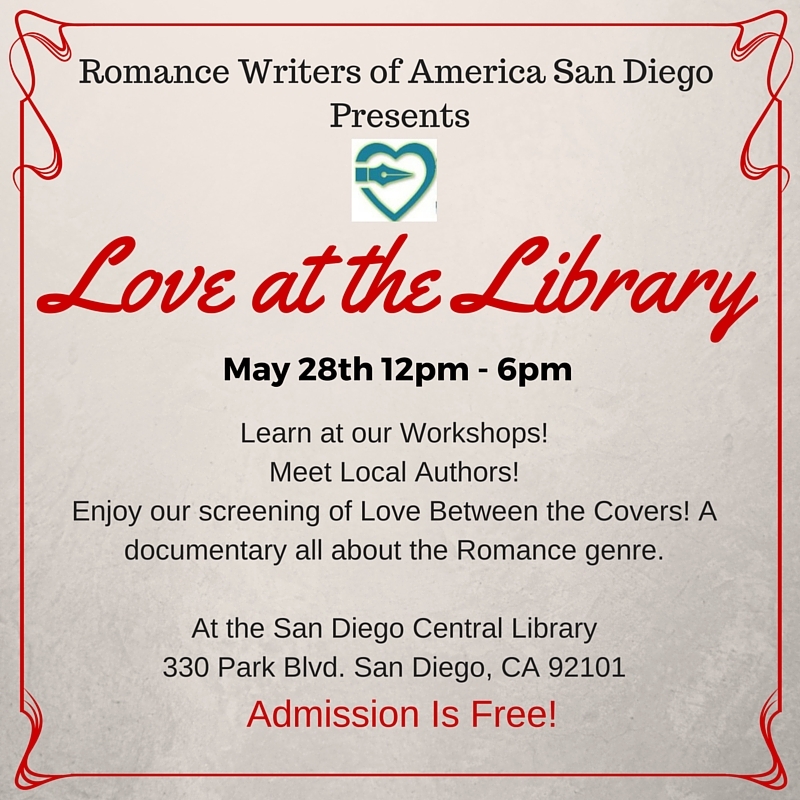 Writing romance is entirely different, especially romantic suspense. The mystery and the love story have to merge seamlessly, but give the couple time to fall in love. Plotting satisfying resolutions that lead to happy endings is my ultimate goal, and when I successfully solve the mystery and maneuver two headstrong people into each others arms I give myself a hi-five. I attended a retirement party in a lovely home I thought so unusual that before leaving that evening I asked the hostess if she'd mind if I put her residence in one of my books. She readily agreed and I started plotting Lawbreakers and Love Makers. You asked your hostess to use her house for the scene of a murder? Were you ever invited back? Yes to both, more or less. 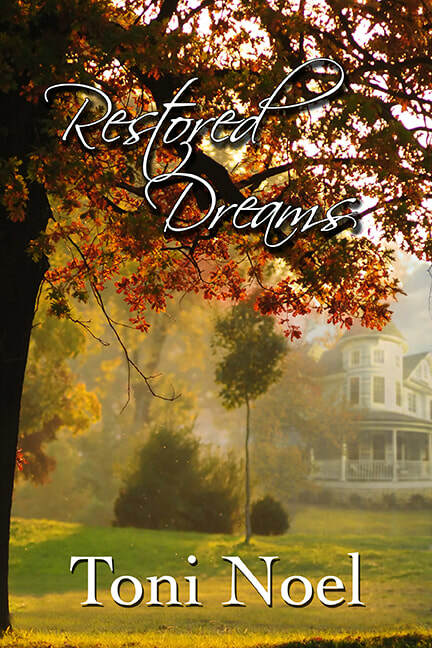 The entire time I devoured her delicious treats I was picturing bad guys climbing over the fence surrounding their isolated property and the plot for a romantic suspense began to take shape in my mind. Before you ask, no, I'd never had that happen before. All evening I plotted ways to prolong tension for a quirky heroine easily frightened by strange noises, and on the drive home gave her a conscientious deputy to calm her fears. When I sat down to write a tension-filled romantic suspense, however, uninvited characters and unusual pets crept onto the pages and stole the scene. This novel practically wrote itself. Instead of the seat-of-your-pants thriller I'd plotted, Lawbreakers and Love Makers turned into a sometimes humorous, often scary rollercoaster ride that brings Zoe and her father closer together, and Zoe and Jon into each other's arms to stay. I see Lawbreakers and Love Makers is your first published novel. Tell us a little more about it. In Law Breakers and Love Makers Zoe Westmoreland returns to San Diego to housesit for her parents and sets off their silent alarm. The deputy sheriff who responds to the alarm is the same high school sweetheart who broke her heart in eleventh grade. She later learns her father, a Juvenile Court Judge, was responsible for forcing Jon out of her life. Once Jon renews their relationship, the couple discovers some interesting ways to get reacquainted. Then really bad things start happening to Zoe and the deputy has his hands full trying to unravel the mystery at the Westmoreland residence while keeping Zoe safe. Love losing yourself in a good book? So do I. Starting soon after I learned to read, I became immersed in books, and only swam to the surface to eat and sleep. Later, when I slept over at my cousin's house, we would curl up on her bed and compare notes about the book we were reading. She liked to read mysteries. One night I noticed her close her book and get a far-away look in her eyes. "Deciding what is going to happen on the next page." She shrugged. "Some of the time, but it gives me a really good feeling when I outsmart the author and come up with a better solution than the one in the book." I'm plotting a new romantic suspense, using my cousin's technique. Weighing the what-if's, so to speak and wondering if my solution to the crime is too cut-and-dried? What if the Game Warden really did do it? He found the body, and the Vic's daughter has suspected him all along. No. If he's the murderer, he can't be her romantic interest. What about the pesky newspaper reporter? Is he really just after a story? Does he have something to hide? Then there's the Vic's cleaning woman. Her unemployed husband is a jealous type. I have, and think I'm finally ready to write Hook, Line and Killer so you can lose yourself in another romantic suspense. I like to surround myself with music when I'm writing. Ravel's "Bolero" when I'm writing a hot scene, Johnny Cash or Willie Nelson when I'm not. Their recordings are great background music for writing scenes with lots of dialogue. In my teens I studied piano, because all my friends did, but I was never very good. The kindest words my teacher ever had for me? "You are very musical," whatever that means. My metronome failed to keep me on track rhythmically, and my fingers tangled anytime I was asked to perform. 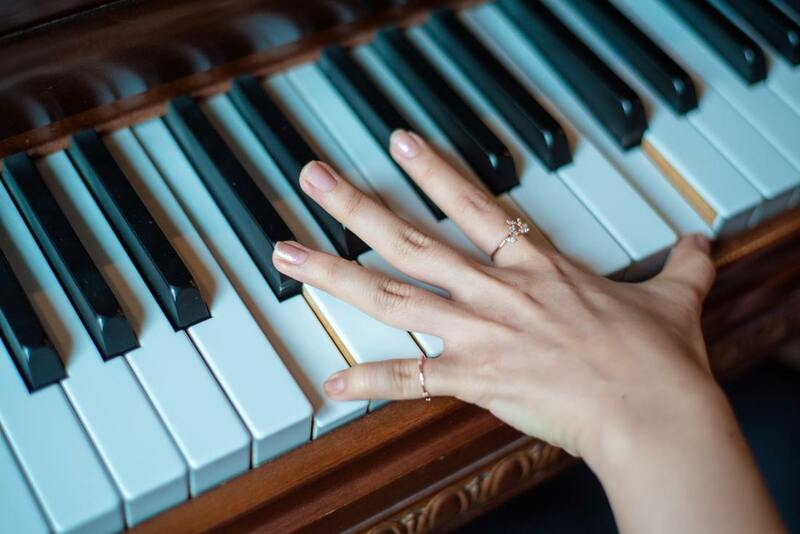 Recitals at Birmingham Southern College on an otherwise peaceful Sunday afternoon were for me a horror show, with me the perp, all sweaty palms and shaky hands, but to this day I still surround myself with music. I can't stand being home in an empty house, so I go to the stereo and turn on some Strauss, or Vivaldi. I keep a CD of waltzes in my car. My granddaughter inherited my husband's music skill and already plays three instruments well. He firmly believes learning to play an instrument helps children do well in math, and gave her a quarter-size violin when she was just three. She recently inherited his full-size violin with great sound because his arthritic fingers will no longer hold the bow without pain. Sadly there aren't many instruments left for him to play that his achy rotator cup allows, so we've turned to good classical recordings our musical entertainment. Have you noticed how short LP's seem, now that we have CDs? I plan to observe with month by digging out the Liberace albums, and one by one listen to him play his piano solos, remembering our younger years. His, too. Many Suns. What An Amazing Day! 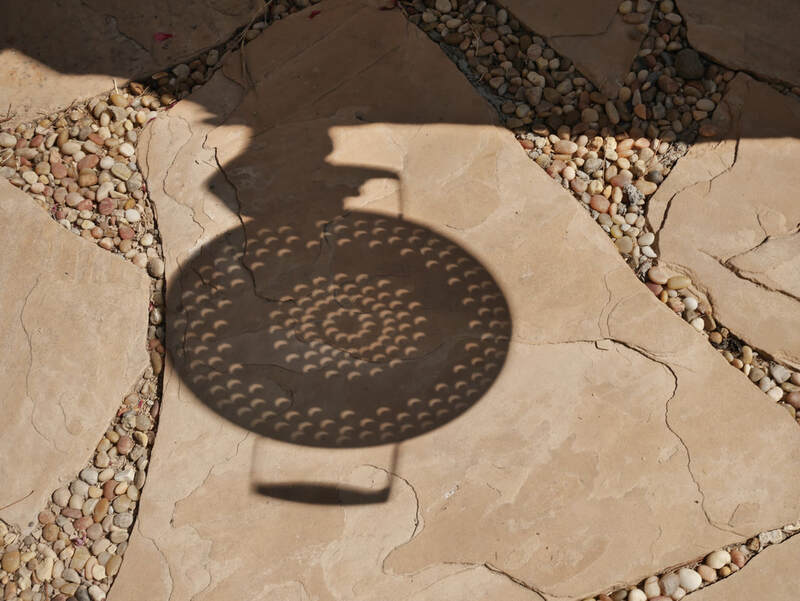 The Partial Eclipse From My Patio. I was so deeply into viewing NASA's excellent crosscountry coverage of the eclipse I almost didn't put on my special glasses and step outside to view the sixty-percent eclipse Southern California was blessed to enjoy. Then I heard about viewing the eclipse through a collander! I hurried inside for my camera and the collander and was delighted with the results I've titled Many Suns. 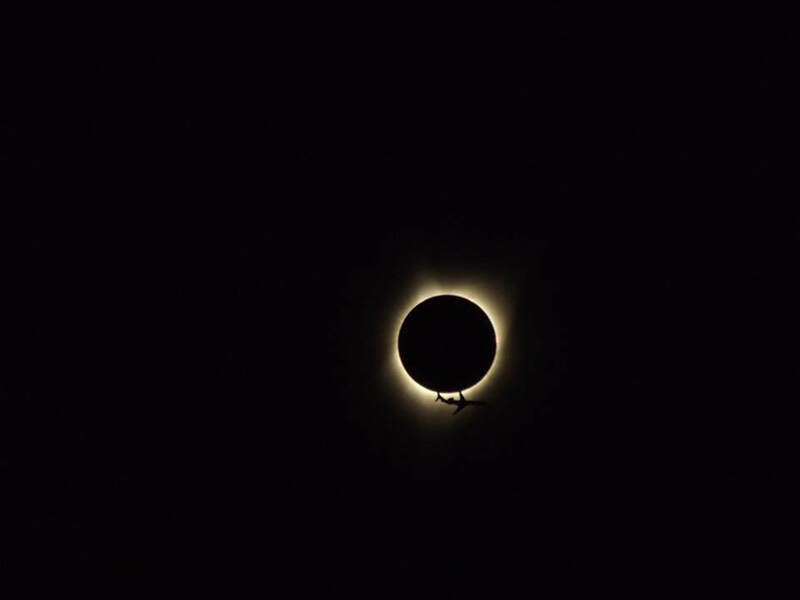 My friend Dianne took this superb image of a jet passing the eclipse in totality from her yard in Albany, Oregon. One dictionary defines independence and the state of not being dependent on anyone or thing and most dictionaries find it difficul to define the word without using some for of it. Dictionary.com goes on to say independence is "freedom from the control, influence, support, aid, or the like, from others." As the mother of four daughters, I can relate to that, for each one was born so independent diaper changes became a tug of war, with Mom usually on the losing end. Two fought like banshees to keep me from changing their diapers. One flat out refused to hold my hand crossing the street. Each refused help climbing into a car seat and proclaimed some form of "Me do," as she settled in with a delighted smile. Independence means many things: Self Government. Sovereignty. Freedom. Had I birthed sons, I can easily envision them growing up and bearing arms to maintain this country's sovereignty just as the Army of the Revolution did in the War of 1812. Once they'd tasted freedom, those soldiers could no longer stomach the thought of oppression. So why is it so many descendents of those soldiers no longer bother going to the polls? The foreign born lucky enough to legally immigrate to this country can not wait to earn their citizenship and be allowed to vote, while many of those born here don't bother to vote. Is it because they've never had to stand in line at polling places where men with guns watched their every move? Or is it because this country bestows so much freedom on its citizens they've forgotten what it's like to have those freedoms denied? God willing, the citizens of this great country will never again lose our hard-earned freedom, but it will take every one of us speaking up for what we believe is right and casting our votes on election day to maintain our independence.